We had a letter from Daniel's optician recommending that he come for a checkup (six months since his last one). I made the appointment and we went down and his test revealed that his eyes had weakened slightly. Thankfully, with the NHS we don't pay for children's eye appointments or the glasses. 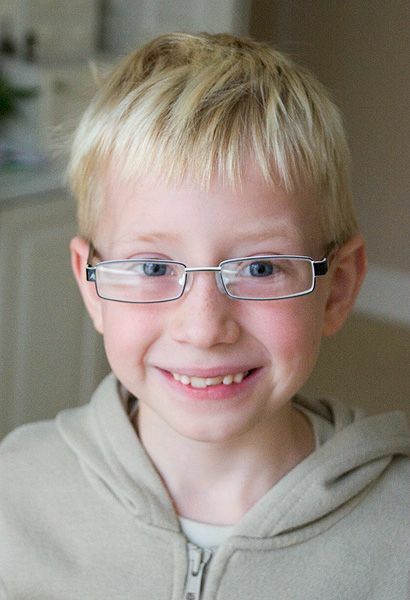 Here's Daniel in his new specs - he chose some trendy black and white frames.